I sat next to a fascinating man on my flight to Melbourne. He is a part owner of 4 businesses, 3 which I knew of. I LOVE talking about business more than I love reading, so it was game on! Anyway, we chatting without drawing breath really. Mostly I was asking him questions. But, towards the end of the flight, based on the little we'd discussed Queen B, he said to me "you really need to double your prices"! I protested. I asked if he had listened to anything I'd said? 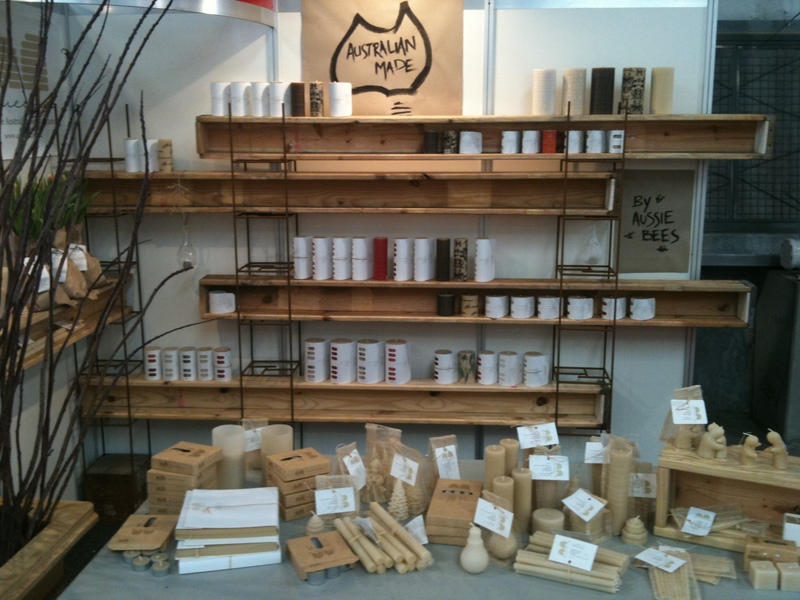 The bit about making beeswax candles affordable for anyone who likes to burn candles. There was the stuff about lighting up peoples lives (literally and metaphorically). I'd shared how extraordinary this 'business' is in terms of the passion that people feel for what we do. etc etc. The question was never going to be answered in a 1 1/2 hour transit. When I reflected on the conversation and thought about why I do what I do. Why I've worked pretty much 7 days a week for 8 years now for little financial return, I reflected on what it is about doing/living Queen B that I love the most. What I love the most is the beautiful phone calls. The touching, grateful emails that show insight and appreciation for everything that we try to put into a Queen B candle (it is so much more than just beeswax and cotton wick). I am so touched and delighted when someone goes to the trouble of taking photographs of their candles burning, downloading them and emailing them to me. That is extraordinary in this day and age. In these days of people trusting companies less (with good reason). In these busy, busy days where all have too much to do. At this time where we don't find the time to talk to the people we love the most often enough. Even with all of that, customers who have never met me (but know me nonetheless because I lay it all on the line with Queen B) will take the time to drop me a line. THAT'S why I do what I do. So, I'd like more of that please! More comments on the blog. More facebook friends and 'likes'. More lovely emails and photographs. Even more abundance please! And to encourage you all to make that time, we're putting a Queen B eco-bulb up as a prize for the best entry. Yes, that's right. We're going to give away an Eco-bulb (because they are beautiful and they are symoblic of so many things). So share away people. You'll inspire others too. We'll pick a winner in a week. If it works, we may run it more. I'd like to start a 'Candlelit dinner once a month' movement. I know of many people who have started doing that since the first Earth Hour and they rave about it. More conversation around the table. More family time. And the conversations you have by candlelight are different to the conversations you have with the lights on. Try me... you'll see. So, please pick your favourite blog post and write a comment. Share a thought or a story. Or find your favourite photograph that has a Queen B candle in it (happy even if they are secondary to the actual photograph) and share it on facebook. Or if you're feeling shy, simply pop us an email. 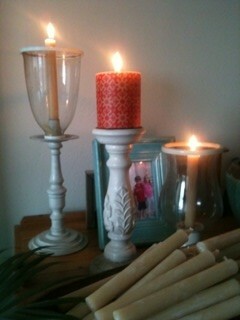 So happy with my candles. Thought u may like to see them in my happy little space. Cheers, Polly"
Now if that doesn't make you smile and love what you do, then I don't know what will! Oh, and call or email someone you've been meaning to, but haven't found the time for! You'll be pleased you did. 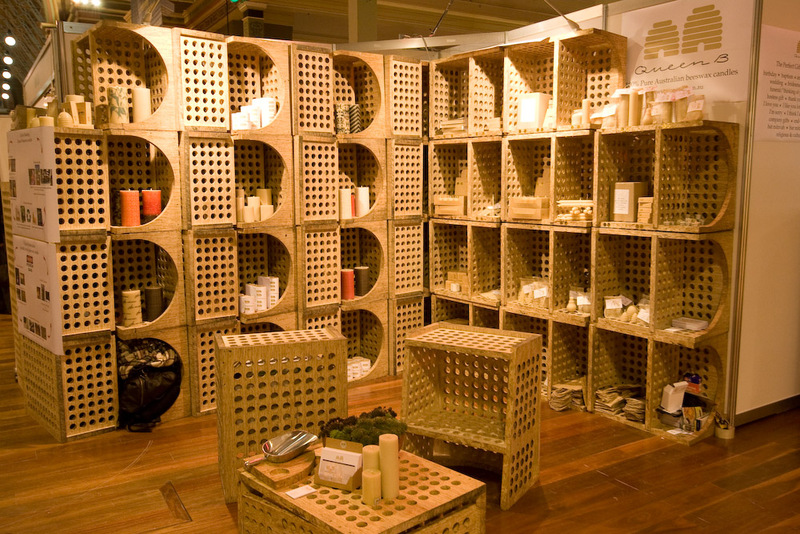 This entry was posted in Beeswax Candles & Candle Making on August 16, 2010 by queenbcandles. I had a friend lined up to help me this weekend at the Organic Expo, and she's had a family emergency. This leaves me with a torn rotator cuff - a very sore shoulder for those of you who don't know what a rotator cuff is - (remember not to run up stairs kids!) 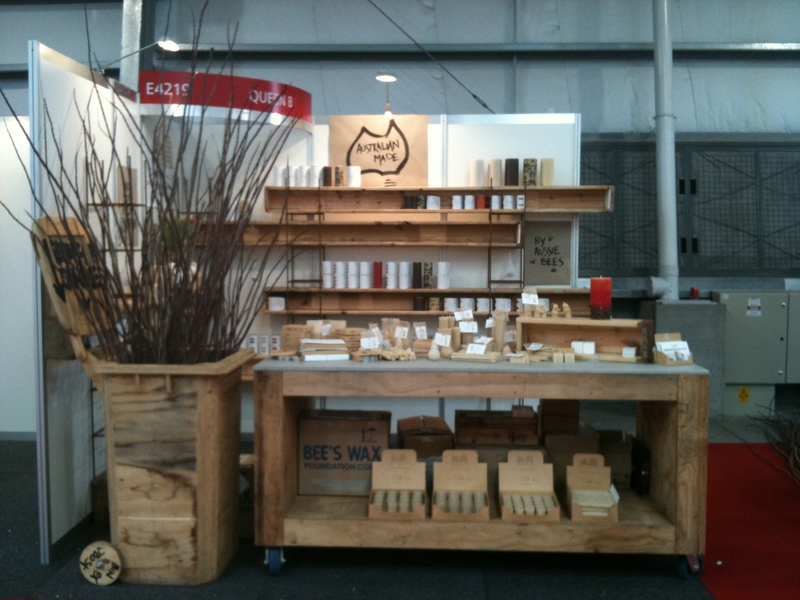 and the Organic Expo set up this Thursday and trading Friday, Saturday and Sunday! Just before you cue the violins, this is actually a show that I really enjoying doing. This is where I get to meet most of our customers face to face. And of course we get to spread the message. So, if you're free on Thursday afternoon (set up), Friday, Saturday or Sunday and you want to come and play with me on the Queen B stand at the Organic Expo, please pop me an email. 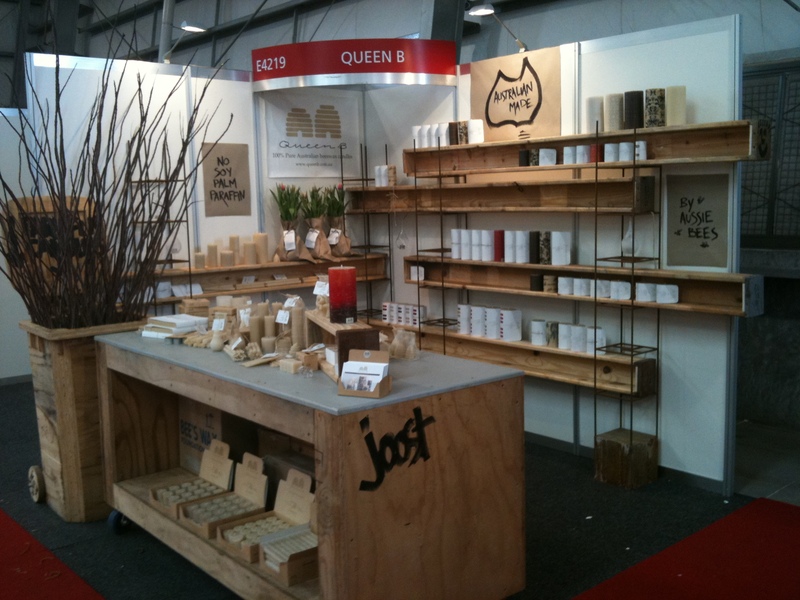 That's a lot of text, so here's a photograph of the amazing stand Joost did for us at the Organic Expo in Melbourne last year! Thankfully he gave me all the bits that I need to create an incredible stand in Sydney too. How good is that recycled plywood wheelie bin? What an inspired and inspiring man. 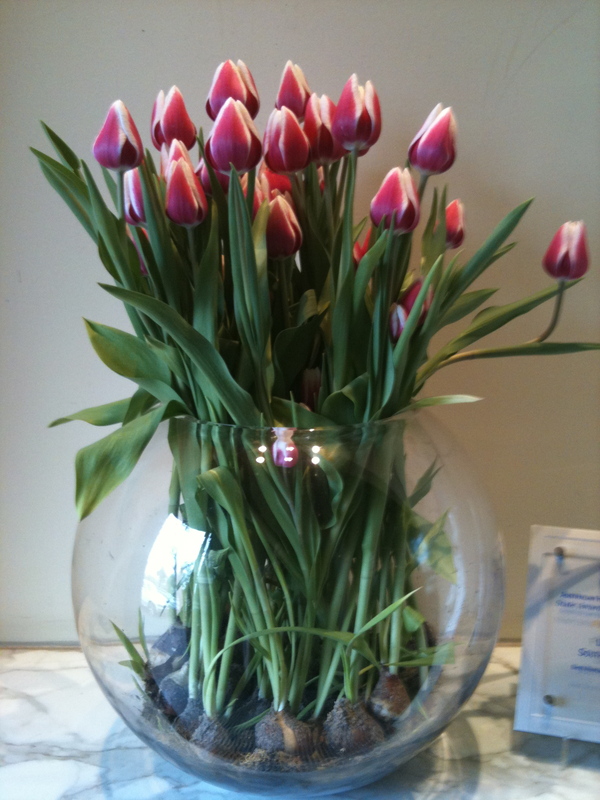 For you lucky Melbournites, get your hands on some of the Urban Crop tulips... I had retailers telling me that they last for 2 - 3 weeks. As if Joost's amazing stand weren't enough abundance for one little bee, I had one generous customer who offered to come and play her harp for a day. How beautiful is that? All these weary store owners walking through the equivalent of several football fields worth of exhibitors (the vast majority showing mass produced imports from China) and then there was this little oasis, with hand-made Australian goodness, complete with 'angel music'. We had very happy neighbours! I (stupidly) forgot to take a photograph on the day, but you've seen the stand, and here's a shot from Adele's CD, so you can use your imagination. Several days were also brightened by helper bees/passionate Queen B customers! I am genuinely humbled (and completely delighted) that customers would choose to spend their time volunteering to help. A loud hand of applause please to Adam, Leanne, Sarah, Adele & Shani all of whom have contributed to Queen B's survival and spreading the word about beeswax candles. Thanks again guys. Day 3 of my week long trip to Melbourne, and goodness it's fun! The bench at the front is one of the benches made by Joost for the Yellow Pages 'Hidden Pizza' restaurant (yes, the one in the TV ad). Day 2 I was a 4am wake up to go on the road doing flowers by Joost. Not sure about 4.15am departures personally. But I got to see the early morning insides of some of Melbournes great bars and cafes including Wall Two 80 (the flower arrangement in the photo link is by Joost), Batch (flowers in street sign on the wall by Joost), Blue Bottle, oh and about 7 others that I don't have time to link to because I'm running late! Fun to work and be inspired by creative souls and people doing what they love (even at 4.15am)! This was one of my favourite arrangements - it is actually a week old - (note the tulips still in their soil giving them a much longer life). 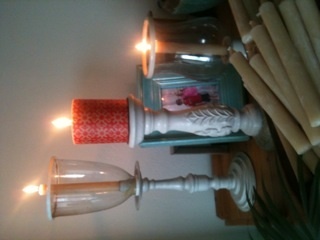 This entry was posted in Beeswax Candles & Candle Making on August 6, 2010 by queenbcandles.